Whenever one of our Father's much loved ones come home, it is a very precious and holy time to God. As the Amplified Bible says, it is important and no light matter. My prayer is that this simple yet profound promise of our importance to God will bring much comfort and hope. The hope of eternal life living in the presence of a loving God and Father is our destiny. It is our birthright because of the finished work of Jesus Christ. We do not have to fear death because we have this hope. 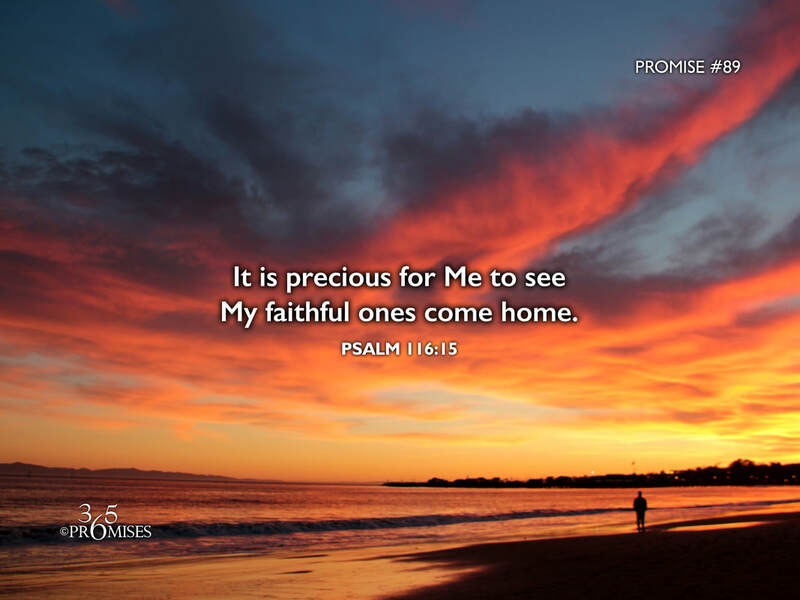 May today's promise bring comfort to us for those who we have lost and peace to us to know that it is a precious time in the sight of our God when we will finally be home. One day, our God and Father will wipe away every tear from our eye and take away all the pain we have suffered on this earth. (Revelation 21:4) This is the hope that we all have in Christ.